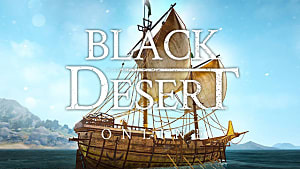 Currently, Black Desert Online's only endgame activity is PvP. 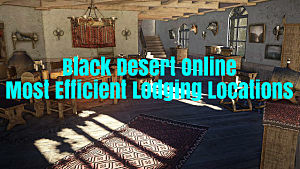 Combine that with the amount of time and effort you have to commit to leveling, learning, and gearing a class in BDO, and class balance becomes a pretty touchy subject. And one of the most common complaints about class balance is with regards to the dominance of Dark Knights (DKs). Soon after the Dark Knight Awakening, it became apparent that they were one of the best classes in the game. However, the Dark Knight Awakening update was also more or less the last notable balance change the class has received since its release. This left players feeling (understandably) upset -- after all, DKs were by far the hardest class to kill because of the incredibly high amount of iFrames, super armor, and guard they had. And they weren't lacking in offense, either. 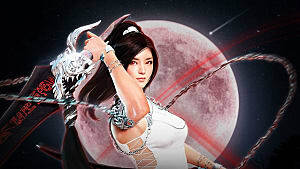 Recently, however, Dark Knights received some pretty big changes in KR. 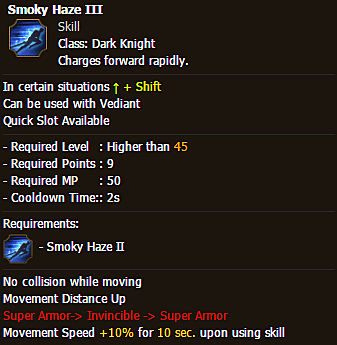 Smoky Haze, which has a 2 second cooldown, no longer renders the DK immune to damage (though they are still immune to CC). The addition of a Stamina cost of 250 each to Dusk and Chain: Dusk means that DKs will now have to manage their Stamina resource like a few of the other classes in the game. 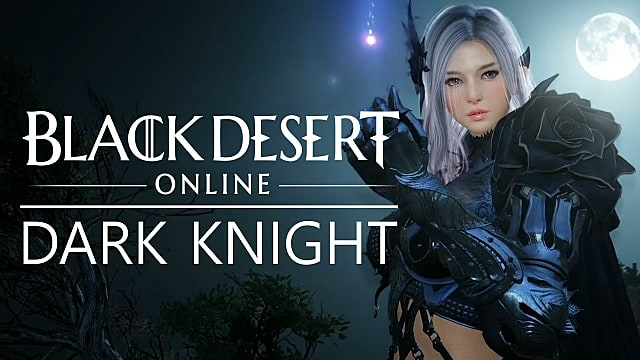 Have BDO's Dark Knights Been Nerfed into Unusability? Ultimately, the Smoky Haze nerf is the game changer here.The loss of one of their iFrame dashes will force DKs to be more conservative and tactical with the rest of their kit if they want to maximize their PvP survivability. It's hard to say where these nerfs will leave DKs -- on the one hand, you have most claiming that the class is dead, that Smoky Haze was absolutely vital to their playstyle. And it's hard to disagree with that, as like most dashes in the game, Smoky Haze is a fantastic skill that any class would kill to have. 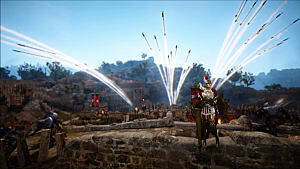 In fact, some DKs have already rerolled to other classes, as evidenced by the recent spike in the number of Kriegmessers and Vediants registered onto the marketplace. On the other hand, some say it's only a minor nerf, claiming that the rest of the DK kit has more than enough power to make up for the loss of Smoky Haze's iFrames, which is also very possibly true -- DKs don't top the K:D charts just because they're hard to kill. While some information about the update has made its way over here from Korea, there isn't enough for it to be very substantial. 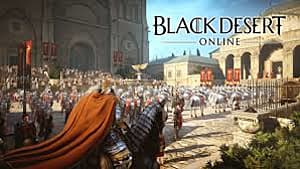 And for those hoping that the DK changes don't get added to our version of the game, most, if not all, patches to the KR version of the game eventually make it over to NA/EU. Sorry. In the end, we're probably going to have to wait for a general consensus when the update hits NA/EU. 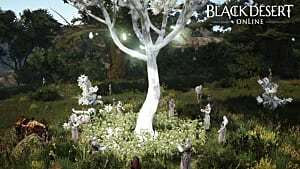 The Smoky Haze nerf has the potential to cause a major shift in the DK playstyle, and the 3D-action-based nature of combat in BDO has so many variables to account that it's anyone's guess as to the severity of the nerf until we see the it in action.